Daily posts mean weekly roundups which means even more internet love on A Glamorous Revelation. One of the best parts about running my own blog is sharing the hilarious, inspiring, ridiculous, and sometimes emotional things I find on the interwebs. I hope you enjoy this week's "Posts I Loved" roundup because there are many more to come. Have a fabulous weekend! 2) Emily Schuman just wrote a blog post about the foodie version of Birchbox where you can get delicious, healthy snacks sent right to your door FOR FREE all through the month of June. 3) Summer playlists are inevitable so why not get a head start and add this one to your Spotify playlist queue before you leave for that Caribbean cruise, European tour, neighborhood pool party, or backyard bonfire. 4) Is this Ariel from The Little Mermaid or Jane Aldridge of Sea of Shoes in her newest outfit post?? 5) Ever since my trip to NYC I've been obsessed with "vacation" blog posts and luckily these girls just came back from an exciting Palms Springs getaway and wrote a cute, mini guide for where to stay, eat, and shop while you're on vacation in Palms Springs. First off, shout out to all of my amazing Instagram AND Twitter followers! You're a real gem if you're willing to put up with me and all my ramblings (Real Housewives live tweeting and excitement over Ban.do's new releases are plentiful, let me tell ya) day in and day out. Secondly, if you are one of the lucky few who follow me on Instagram and/or Twitter then you probably know that I just came back from an amazing weekend getaway to New York City. Technically, I traveled to upper New Jersey to attend an annual convention held by an organization my father is a part of, but with our hotel being less than 15 miles from The City my siblings and I decided to hop on a bus... then a train... then another bus... then another train... then a subway (I had NO IDEA traveling in NYC was so cumbersome) to visit the Empire State Building, Times Square, 5th Avenue, Madison Square Park (where we just happened upon Madison Square Eats, an amazing pop-up market with delicious mango lemonade), the Flat Iron Building, the 9/11 Memorial, and Central Park throughout the weekend. The trip was amazing and each time we traveled into the city I was more and more convinced that New York is indescribable because it was hardly what I was expecting it to be. I planned on writing this article and detailing where each picture was taken and doing a little brief about fun tourist-y things to do if you've never been to NY, but really all I have left to say is that if you've never been I highly suggest you go just for the great experience and if you have the opportunity to go in May make sure you stop by the limited time pop-up "shop" Madison Square Eats because for a little girl like me from a small town in Middle Tennessee it was like taste buds frenzy. And while you're there don't forget to check out Uma which serves interestingly tasty sushi rolls that are like the Asian version of burritos and whichever shop it is that serves the freshly made mango lemonade because it is to die for. Ryan Porter, Packed Party, and Trust Fund Beauty all announced via Instagram that they're releasing brand new products on each of their respective websites. Out of the blue, they all let us in on what's new in their warehouses and subsequently I fell in love. It's a classic case of you didn't know you needed it until you realized you didn't have. Ryan Porter now has the option to customize square beads with each bracelet even though up until earlier today I never knew I was unsatisfied with the singular option of round beads. Packed Party revamped its "You Pampered Thing, You" care package and loaded it with amazing Margot Elena products from Love + Toast and Library of Flowers. Every time any Packed Party package sells out, they Packed Party team reinvents the entire box and curates new products to put in the next batch, however this time You Pampered Thing, You is 10x better than it has ever been and might end up being my next PackedParty.com purchase. Trust Fund Beauty stepped up its game as well and is expanding beyond just glamorous, rich girl nail lacquers into nail care products. Now you can buy mint-scented, vegan nail polish remover and nail cleansing wipes whenever you stop by the Trust Fund Beauty website to order yourself an array of luxe nail polishes. *P.S. Packed Party is coming out with an entirely new mini packages veeerryy soon so keep your eyes peeled on Instagram and Twitter for the big announcement from @PackedParty! Clearly, everyone around here is ready for warm weather. 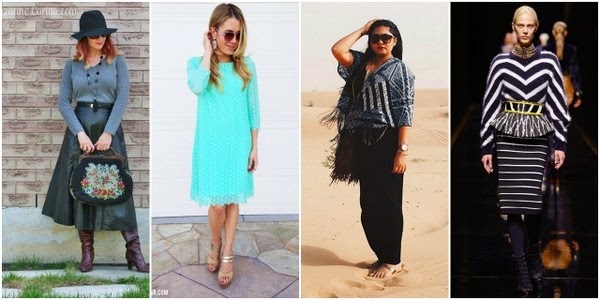 We’ve got kimono-inspired wraps,turbans, sunglasses, and sundresses, just to mention a few topics on the blogging radar this week. Where I live (San Francisco) it just gets cold and foggy in the summer, so I’m living vicariously through all of your summer wardrobe and beauty preparations. Bloggers are also covering some more sober topics including dress codes and marriage equality. There’s lots of good stuff to peruse so let’s get to the links! There's no such thing as too much stationery and life's too short to not have the cutest stationery you can find. For me that's a new set of mini Mara Mi cards with cursive script, black and white backgrounds, and gold foil accents. Or it's gypsy styled greeting cards that are extravagant and sparkly while conveying the simple message of You + Me = <3. Or maybe it's a colorfully striped "LOVE U" notecard I excitedly bought from Urban Outfitter when I saw that they carried one of my favorite stationery brands, Daydream Prints, in their stores. Obviously it's all of the above and the more I add to my stationery collection the more I love it. Mara Mi and Daydream Prints make up a hefty amount of the greeting cards scattered across my desk and in my drawers so it truly is "the more the merrier." You can get dozens of Mara Mi cards from just about any TJ Maxx and Daydream Prints is sold on the DaydreamPrints.com website AND UrbanOutfitters.com/Urban Outfitters stores so you can upgrade your stationary connection with just a click of a mouse or a trip to the strip mall. Plus, I made a few impulse purchases at local boutique and got 2 of their super cute, bohemian-esque cards that are twice as pretty as they are thoughtful and that's just the way I like it. Pink Stripes & Pretty Daisies // Ban.do Downloadables! There are new downloadables for the month of May from the Ban.do Girlgang Party House! Sometimes I wish I could just have a one on one convo with their artistic director because as you can see her kitschy-cool, ultra femme but still bada** designs are to die for. To get anyone of these four graphics as an iPhone and/or desktop wallpaper simply head on over to the "Fun" section of the Ban.do website and save each image to your device. And while you're at it check out all of their other fun downloadables including gift tags, Spotify playlists, and party invitations. Just weeks after I made this Valentine's Day themed tassel garland, Studio Mucci reached 50,000 Instagram followers and had a huge 50% off sale. I bought the neutral toned tan and silver tassel garland that is handmade by the Studio Mucci team for a little under $20 and can't wait to put it up in my dorm room. Nonetheless, I'm still proud of my cost effective yet admittedly difficult to make DIY garland that took only about $5 of materials but almost two full hours of seemingly endless labor. With just the bare minimum of supplies all you have to do is fold multiple strands of tissue paper or ribbon in half while they are all still bunched together and twist the loop at the top of each bundle so that you can string them on to a chord or ribbon from Hobby Lobby. Seems simple enough, right? Wrong, actually. There were so many complications that made the process 10x longer than intended (have I ever mentioned that I'm only half as good of a crafter as I claim to be) which really put a damper on my tassel garland making parade. The resulting homemade garland was great (and I use that term loooosely), but I am glad that I was able to get an original Tassel Factory tassel garland from LA-based company Studio Mucci. In case you didn't know, I'm graduating! As if that wasn't blatantly obvious by me mentioning it in, well, just about every post i've written since this semester started. Technically speaking, I have already received my graduation gift from my parents and from myself (yes, I did get myself a graduation gift because I just couldn't pass up the May Birchbox curated by Emily Schuman of Cupcakes & Cashmere. No shame! ), but that doesn't mean I'm not excited about all the grad gifts that will be given and received within the coming weeks. 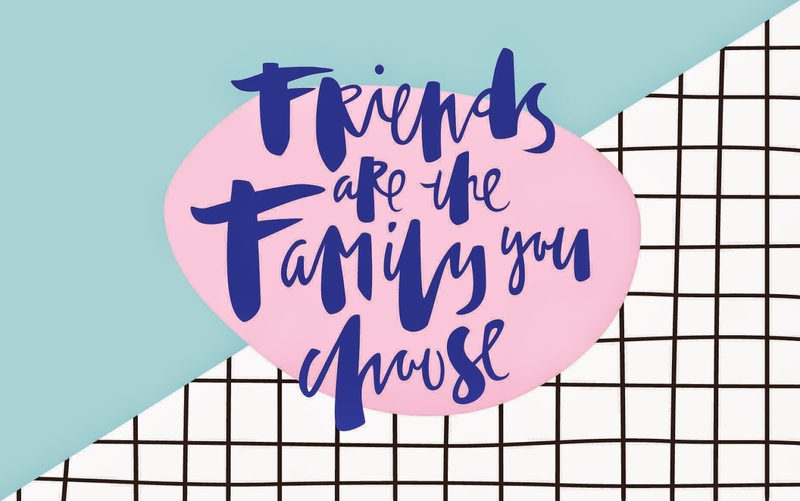 Picking graduation gifts can be really easy and doesn't have to put a strain on your wallet, but for whatever reason when it's time for a loved one to graduate at the end of May you can't seem to find what to give your sister, cousin, niece, best friend, aunt, or mom. Instead of leaving you high and dry this year, I'm giving you a little list of perfect presents for your rad high school or college grad. And to my fellow graduates: CONGRATS!!! The Cupcakes and Cashmere curated Birchbox is chock full of luxe samples (think Tocca, Shiseido, and Benefit Cosmetics) from some of the most raved about beauty collections and it's only $10 so you can treat your little young adult to the little luxuries in life without spending an arm and a leg. ** make sure to call customer service & let them know you only want the May box, not a full subscription so you aren't charged every month. Gone are the days of scribbling notes and cramming for finals. That doesn't mean the friendships end or that the memories won't last. Ryan Porter Customizable bracelets come in array of colors, metals/materials, and prices ($25-$75) and are the perfect way to show your college grad that your proud of her.It'll be a reminder of all the great times she had and one of the biggest accomplishments of her life: graduating college! Finally! After being in school for 20 years, your Grad School grad deserves a little pampering. 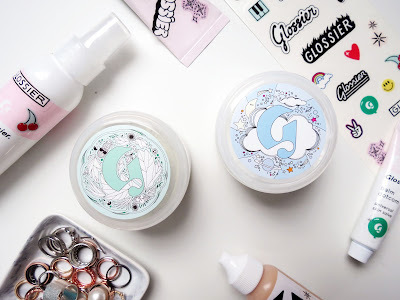 *Cue the Glossier Phase 1 Set + Mega Greens Galaxy Mask* Glossier has only been around for a few months and it already has a cult following and has appeared in dozens of magazines and blogs.The entire set of all 4 products a and one of the hydrating face masks runs just over $100 and lasts for months after graduation day has passed. With three diplomas behind her and a bathroom vanity full of Glossier there is nothing your Grad School grad can't do. Now that I'm unofficially out of High School (graduation's this Saturday!) I can turn my brain off for a second and enjoy the careless company of summer before I head of to college. It's going to be a struggle maintaining high school friendships and the deep, spiritual relationships I've built within the last four years while I'm away so I'm hoping this summer is filled with crazy nights and insane memories that I'll never forget. Whether you're moving on to the next chapter of your life or just chillin' like a villain and doing the same ol' thing, take a leaf from Wildfox's book and host a bonfire, go on a beach vacation, and have a wild night. You already have the perfect playlist and an ultimate packing list courtesy of the cool kids at Wildfox. If you're waiting for June 21 to make it an official summer starter party, lemme tell ya, life's too short. Party now and party hard. I don't actively watch the MTV show Catfish, but I do know that the premise of the show is enough for me to be completely hesitant to ever trust anyone on the internet that I've never met face to face. However, there are those occasional groups of people online thay make you think, "Man, I sooo wish I knew you in real life because you seem like a totally awesome and amazing person to hang out with!" Oh, wait? So you've never felt that way? Well then, you've been missing out BIG TIME because some of the most hilarious, inspirational, and/or just flat out "this will make a great story one day" things I've seen or read on the internet have been because of great online communities. By far the best online community ever is that which is housed in the ManRepeller.com comments section each and every day. I don't know what does or doesn't occupy their days, but they always take time out of their [presumably] busy schedule to leave a load of laughs, thought, and inspirations on Leandra and Co.'s man repelling posts. They're not internet trolls -- far from it actually. Their comments are *almost* always relevant to the blog article at hand and if nothing else each comments adds to and builds up the awesome community vibe Leandra and Amelia and everyone else on the Man Repeller team have created. I encourage you, if you haven't already, just sneak a peek at the comments section of any one of The Man Repeller's conversational posts (I suggest one that's about a week old so that you can witness a fully developed comment section that has been marinated in man repelling hilariousness and includes the few stragglers that comment days after the post has been published) and prepare to be amused. Go ahead. Click on over to ManRepeller.com now. 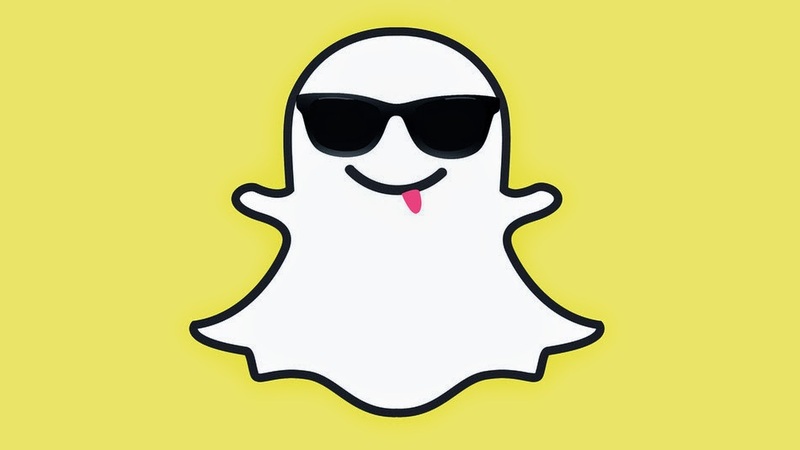 Raves & Rants: Snaaaapchat's Gone Public! But not on the stock market. Technically that happened years ago when its parent company, Facebook, became publicly traded (I actually remember that exact day and what I was doing when it happened) so this is a whole different ball game. Snapchat now has the option of making your Snap account public for all to see your stories and updates. So far it seems like a super fin tool for small businesses and major companies alike to stay connected with fans on yet another social media platform, but I'm still a little wary of how it will all turn out. How much consumer engagement will these public Snapchat accounts get? What kind of content will/can be shared effectively in a post that will disappear in 24 hours? How often is too often for some of these brands to be updating their Snapchat stories? So many questions and so few answers at this point in the game. I look forward to seeing what comes out of this new social media venture so I hope it's successful enough and lasts long enough for us all to see the results as consumers and Snapchat obsessees. But for now, what do you think of Snapchat's new public features? Have you been loving it so far or no? The 2016 Ban.do Agenda is finnalllyyyy available and now it comes in 3 different prints and 2 different sizes! Here are the deets on what it'll be like from all the different shops selling the newest batch of Ban.do agendas for pre-order: If you buy from Ban.do directly shipping is a flat $5 dollar rate and will ship in the middle of May. If you purchase from one of their online wholesale dealers like Rachel George or Glam and Paper then you'll have to pay a little extra for shipping and get yours in mid-May, too, but as a bonus you'll be able to add in accessories and other office supplies from all the different brands the outside retailers carry. And if you wait till their available in-store from a local retailer (think: college book stores) then you can forgo the shipping costs, obviously, but will have to wait almost two months longer than your fellow Ban.do enthusiasts to purchase an agenda. The Ban.do website sells out the fastest so alternate retailers are a great option for those who are a little late to the Ban.do party. Plus, you can put items on hold if you can't make a purchase at the very second the agendas become available and you won't have to miss out. Buying in store can be risky because quantities are unsure, but they're usually the last to sell out and are a safe plan if you know your favorite retailer will have a particular amount of stock available. Hurry, hurry, hurry though because last year's Ban.do agendas notoriously sold out super quick leaving many-a-Ban.do-lovers without the amazing fun of a 2015 agenda. Back when the flowers were just starting to bloom and the snow was barely melting, I made the financially irresponsible decision to splurge on new lip products. NYX isn't really a "luxury" brand by any stretch of the imagination and for the intensity of the color the $5 I spent on each tube of lipstick-y lipgloss was almost worth it..... almoosstt. I am obsessed with pretty much any lip color in what I like to call Nicki Minaj pink so the "Merengue" NYX butter gloss seemed like the perfect shade. However, to my horror once I swiped the glossy wand across my lips twice I looked like stale Peptobismol had been smeared across my mouth. And then to flip-flop to the other end of the spectrum, the "Strawberry Parfait" shade doesn't ever seem to want to actually appear on my dark lips as more than I lightly tinted gloss. Why oh why, NYX, do you have such pretty packaged, well-advertised, highly desirable products that fall short of almost every expectation?? Fortunately enough, I love the look of the light pink Merengue gloss mixed with many of my Finding Ferdinand lipstick combos and with two of my Butter London lipstick balms.